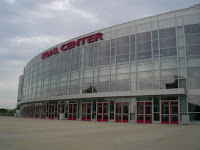 Badgers basketball tickets are still available for tonight's game at the Kohl Center. Tonight, the Badgers, who are ranked 14th overall, will host the Colgate Red Raiders. This is the first time the two teams have played one another. The Badgers are off to a great start this season, having already won their season opener. We can expect to see great things from the Badgers basketball team this year as they have several key returning players and of course one of the best coaches in college basketball, Bo Ryan.